The exhibition form serves as a means of knowledge production; opening up discussions on diverse issues based on the curatorial interest. The curator becomes the mediator between the artist, art works and the audience. 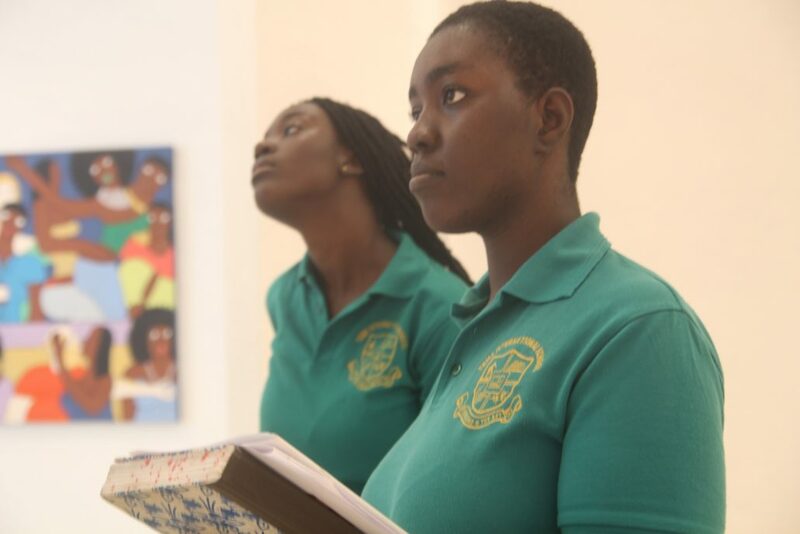 In order to understand some of the dynamics that play out in exhibition making, the DP 1 visual art students visited the exhibition ‘Almost True’ at Gallery 1957 in Accra. Below are their reflections. llery 1957 in Kempinski Hotel. 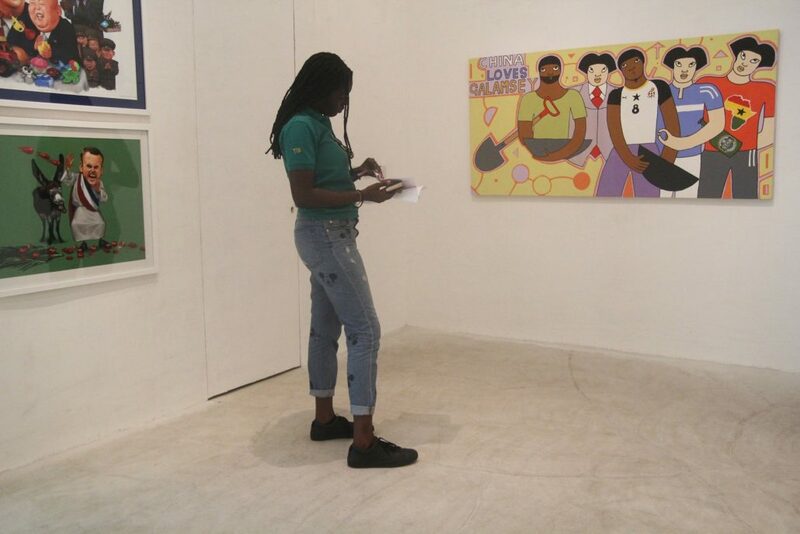 This exhibition showcased the works of Bright Ackwerh and Michael Soi, artists who make satirical commentaries on African sociopolitical issues. I was delighted to learn about some of the reasons behind the works along with the reasons behind the selection of the works for the display. The exhibition was in a private, commercial gallery in Kempinski hotel, so it stayed in the back of my mind that these works were meant to be sold to a particular audience, and it would affect the work presented in the gallery. 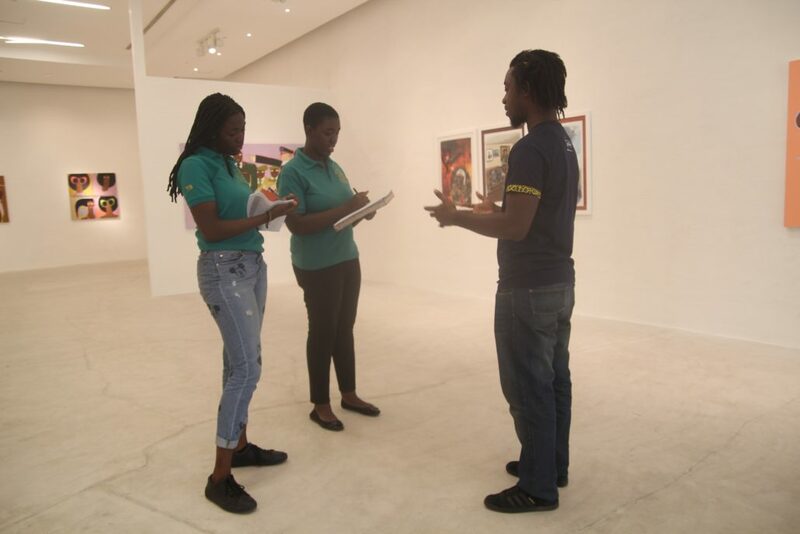 We got to have an enlightening conversation with one of the artists featured at the exhibition, Bright Ackwerh, who pointed out that although the commentary was on African issues, none of them were specifically geared towards Ghana. It enlightened me that even when artists intend to comment on social issues, they may end up being restricted or censored based on the audience to which they present their work. he news interesting with pieces like Chisus Christ depicting the narcissistic president of China. Akwerh was there to speak to us and made us realize that it’s very difficult to address corruption and other negatives events when you put a name to it which is why Soi doesn’t do it. Once, his studio was ransacked all in the name of protecting the names of Chinese officials. What I took from the exhibition was that, in art, you cannot try to please everyone and you shouldn’t try to mould yourself to go against your values. You should be able to sustain yourself with only art (if it’s what you’re passionate about and wish to do as a profession) so no one could change your style or you would have to alter your work to satisfy other. 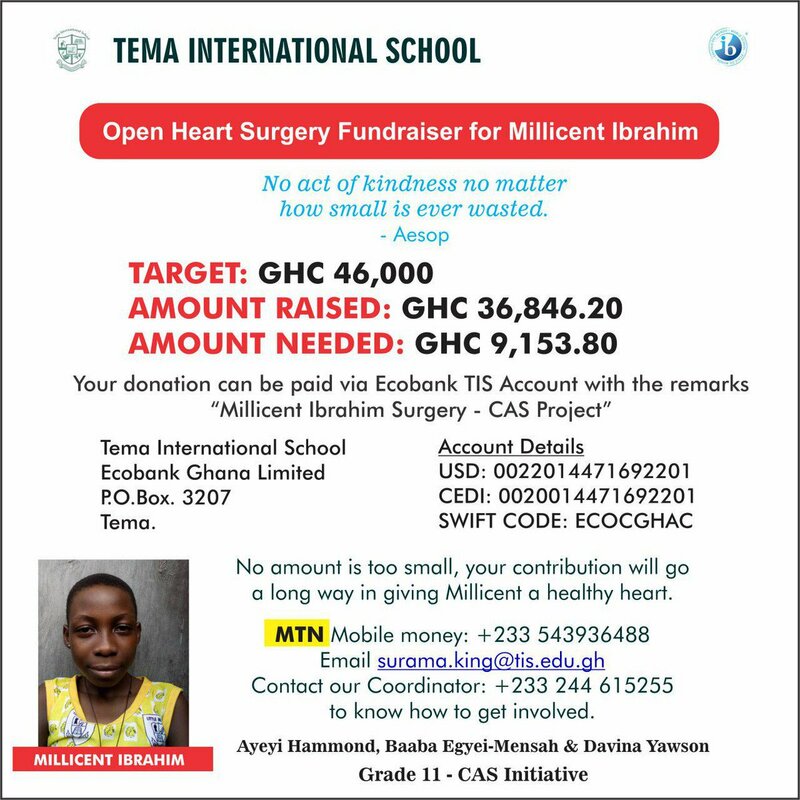 PreviousPrevious post:Interact Club of TIS and the Incubator AgendaNextNext post:Tema International School Innovation & Entrepreneurship Club take it to the streets!